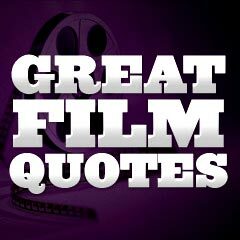 Here are hundreds of Greatest Film Quotes, memorable lines of dialogue, curtain-call lines, and catch phrases that have frequently been heard. How many classic film quotes do you actually know? 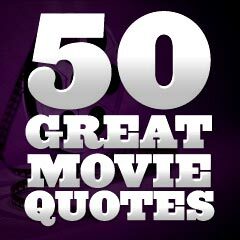 This collection (in two parts) first included 50 Great Movie Quotes of the Last Half Century, from Entertainment Weekly. 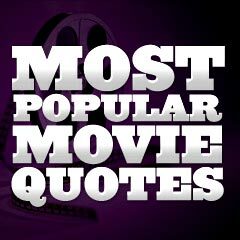 This second collection included the Most Popular Movie Quotes submitted by readers of Entertainment Weekly. 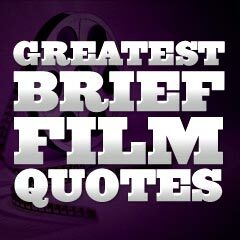 These are the ten most recognizable film quotes according to a 1998 survey of a group of "10 film critics and experts" who were asked by Guinness to draw up a list of the "ten most famous movie quotes ever." 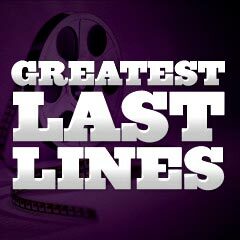 These are the top 10 best movie lines ever - the ranked winners in a survey taken by Odeon Cinemas in the UK. These are the top 10 best comedy movie lines in classic films - the winners were determined by Turner Classic Movies (TCM). In two parts, here are some of the most classic movie quotes that are really only legendary, misquoted, and/or apocryphal. 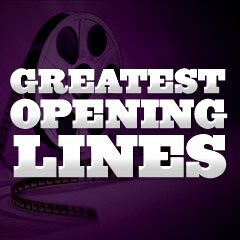 A collection of many of the best-known opening lines, fade-ins, and first words of dialogue heard throughout cinematic history. These are the initial opening words of films often heard even before the title credits. Ordered chronologically by film title. A collection (in multiple parts) of many of the best-known curtain call lines and final words of dialogue in cinematic history. These are the last lingering words heard before the title "The End." Ordered chronologically by film title. 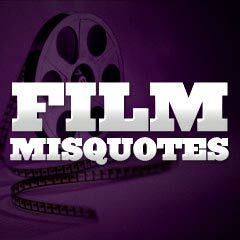 A great collection of brief, concise, succinct, and short retorts, remarks, insults, one-liners and film quotes (usually four to five words maximum), some from the greatest films of all time. All are memorable, quick-to-read, and easily quotable. 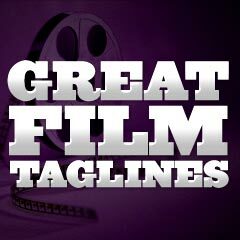 An extensive compilation, in multiple parts, of the catchy, enticing short phrases, called taglines (or tag lines) used by marketers and film studios to advertise and sell a movie, and to sum up the plot, tone or themes of a film. These 'sound-bite' epigrams are often placed on either film posters (above or below the film's title) or on the merchandise itself (DVD or video cassette box, etc. ), to reinforce what the film is all about. 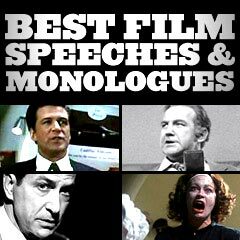 Greatest Films has provided expanded selections for Best Film Speeches and Monologues (in multiple parts, and illustrated) to contrast with the dubious polling results recently publicized for the Top 20 Best Film Speeches in a late 2003 polling taken with customers of the video store chain Blockbuster Video (in the UK), to determine the best film speeches and monologues throughout cinematic history. These are the top 10 worst lines, according to a polling of 2,000 movie-goers in the UK in late 2004. The survey was commissioned by Warburtons, a UK bakery company, to mark the launch of its new snack food, Cheese Flavour Crumpets. 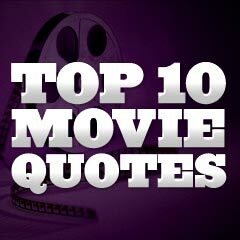 Also included are the Top 10 Cheesiest Movie Moments of All-Time. 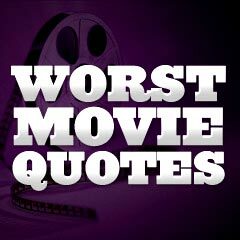 There are literally hundreds of obviously awful film quotes, in addition to the Top 10 Worst Movie Quotes from the previous section. Here's a selection of some of the worst ever heard, many of which were seriously delivered by the actors/actresses.